Hurry, this package will book up very quickly, so call now to avoid disappointment on 01631 720386 or click here to book online. A minimum of 10 children is required to secure your booking. Children must be accompanied by at least 1 adult. *Please note, due to demand, party bag contents may vary with comparably valued items. 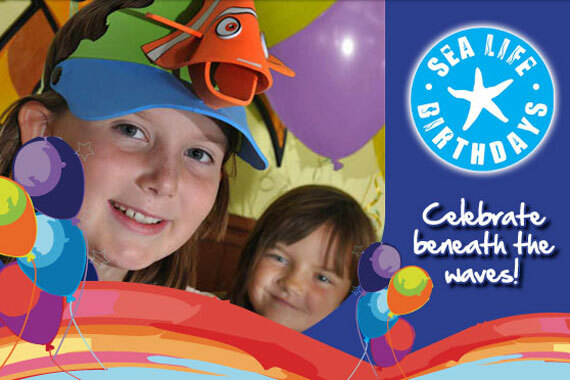 Quote...."Big thank you to all the staff at the SEA LIFE Sanctuary, Oban for a fantastic birthday party. All the kids had a great time and the staff could not do enough for us. The highlight of the day had to be feeding the fish and the touch pool. The lunch was brilliant and the goodie bags at the end were stuffed full of things. A great day out for a birthday."